"Yesterday I missed Rinjani this week," AK told his friend when he was invited to climb the mountain later this year. When asked who he was climbing with, AK said, "Both of us are my friends, we've been planning this for a long time now, well, now is the time, go. We do not use a guide The problem is just to carry a little baggage, it's not good if you use a guide, it's not private. " AK, currently 27, is one of the millions of young people in the generation who currently dominate the world's tourism industry, the millennial generation. What is expressed by the AK can be a preference capable of representing the different points of view of the millennial generation when viewing the current tourist experience. 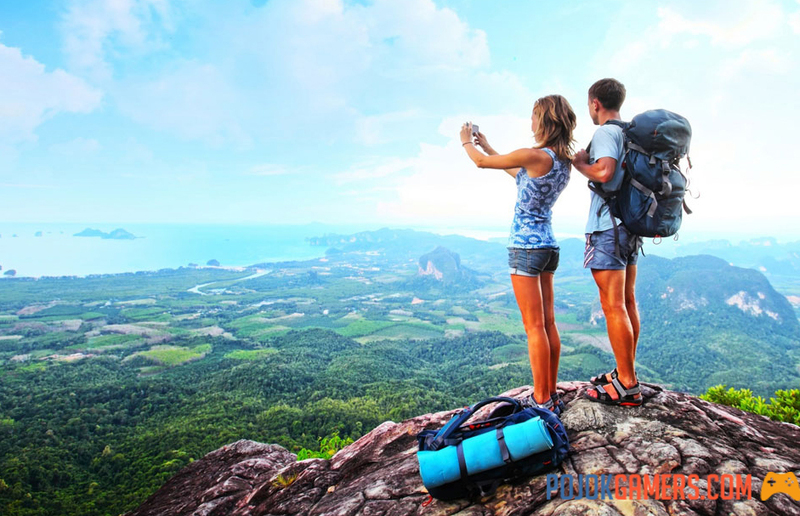 ThinkDigital.Travel, a think-tank on tourism, said: The Millennial generation is a generation that sees itself as having a basic right from birth, namely the right to travel or travel. It is therefore not surprising that this generation M has become one of the pillars of the modern tourism industry. Research results from the Phocuswright Tourism Industry Research Institute confirm this hypothesis. According to Phocuswright, the M generation is the one that travels most often among other age groups. They are expected to spend more progressively on tourism services relative to other age groups over the next 12 months. By 2020, this generation will account for half of all existing trips. On the other hand, according to research results from the Boston Consulting Group and the growing generation of baby boomers, their travel costs will only decrease by around 16% in 2020 and 11% in 2025. As cited by ThinkDigital. Travel, Generation M is not looking for luxury brands or expensive cars. Instead, they seek the experience, something that can enrich their lives. Statistics show that 6 out of 10 of them prefer to spend their money on experience rather than material goods. The UN Tourism Organization (UNWTO) reported that the tourism industry had registered positive growth in the first half of this year, with a 4% increase in the number of foreign tourists compared to the same period last year. 'last year. The Asia-Pacific region, which is currently one of the most popular destinations of Generation M, has recorded a 9% growth in international arrivals, the highest in the world. The growth rate of international visits to the region is dominated by the Oceania region (10%), followed by Northeast Asia and Southeast Asia (9% each) and Asia. South (7%). Destinations in Sub-Saharan Africa have become the second largest destination in terms of growth, with a growth rate of 5%. This destination rebounded, which was quite significant after the previous period had recorded growth of minus 3.1%. This positive trend is expected to continue for the remainder of the year, with half-year I / 2016 results accounting for approximately 46% of the annual total of international visits. With the number of international visits continuing to grow in a positive way, the tourism industry is becoming one of the most promising sectors for countries wishing to take it seriously. How to offer an attractive tourist experience to the M generation then becomes the key to continue to develop the tourism industry, knowing that they will represent the largest part of the existing tourist cakes. Roberta Esposito, Head of Digital Tourism, Digital Tourism Think Thank Thank, argues that there are at least four millennia features. First, they are looking for authentic tourist destinations, a place that can provide original and local experiences. They do not want to be tourists, but want to share what local people feel.